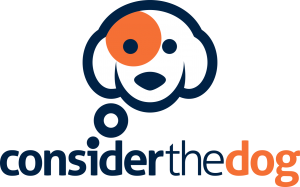 K9 Connection founder, and Training Director Tyler Muto is also the founder of Consider The Dog a website that provides educational and instructional videos from some of the most respected canine behavior experts in the world. Consider the dog has dozens of free videos, as well as a monthly membership subscription and premium video courses available for purchase. For those who live at a distance and may not be able to bring their dog to us in person, a membership at Consider The Dog is the next best thing.